Like many people, I had a vague fear of sharks growing up. Perhaps it came from watching Jaws when I was a child, or maybe it was just the general culture of awe and terror sharks seem to evoke that rubbed off on me. My fear didn’t keep me out of the ocean as I grew up, but there was always this nagging sense that they were out there as, I’m reminded, are toasters and ladders, which I’m more likely to be killed by. So when I was preparing to scuba-dive for the first time and my trainer told me that diving at Aliwal Shoal would mean I was more likely than not to encounter sharks, I’ll admit to being a little terrified. Of course, on that dive I saw more than 15 ragged-tooth sharks most of them coming within a metre or two of me but the weird thing was that seeing them in their natural environment completely demystified them for me; it was an amazing experience I’d have again in a heartbeat. I’ve subsequently swum with blacktips while snorkelling alone off a secluded beach in Thailand, and seeing these sleek predators hunting for game fish in the knee-deep channel was and this sounds cheesy awe-inspiring. So, now that I’m a bit wiser about sharks, it’s with enthusiasm (for once) that I set my alarm for well before sunrise and drive to Wilson’s Wharf at Durban harbour to join the KZN Sharks Board’s early-morning boat tour. The sun has only been up for a matter of minutes when I hop on to the Sharks Board’s boat and am greeted by some British tourists and Hugh Turpin, the boat’s skipper and our guide for the morning. After a quick safety briefing, we leave our mooring at 6:30 am. I’m grateful that it’s autumn, with the sun’s rays only just shooting over the dark green promontory of the Bluff. If it was summer, it would already be scorching. It’s a still day, so the water is glassy as we head out of the harbour mouth. 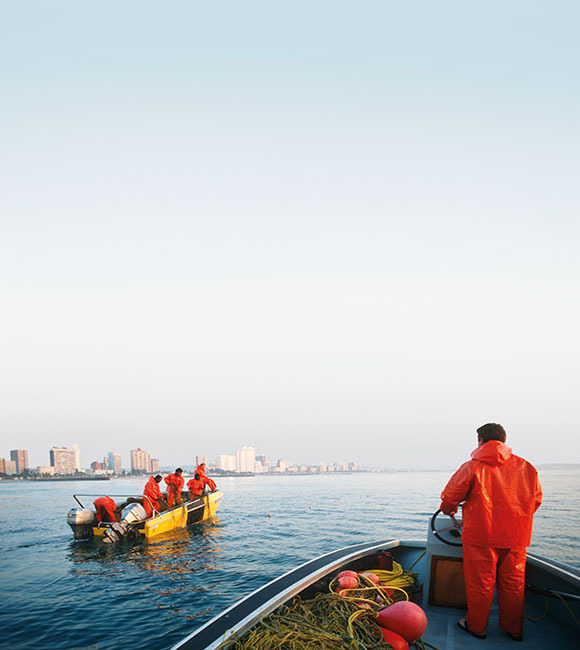 We turn slowly to the north, and it’s not long before we catch up with the Sharks Board’s yellow speedboat, on which a team of five guys is already starting to check the five kilometres of nets off Durban’s beachfront. Hugh explains that it’s a daily task – called meshing – and an extremely important one at that. It involves pulling along the net line to see if anything was caught in it overnight, and only once this is complete and the all-clear has been given, the beaches are opened for bathing. Contrary to popular belief, the nets aren’t there to catch sharks per se, but to deter them, and only about 500 sharks are actually caught per year. Consequently, you’re unlikely to see the team untangle a shark that’s been caught overnight and more likely to see dolphins frolicking in the wake of the boat. The nets are also inspected so those that are dirty accumulating marine life such as barnacles, for example can be removed and replaced. If they aren’t, they act as mini-reefs, attracting fish, and consequently, predators. We follow the team as they move from net to net Hugh explains that the Sharks Board deploys nets more than 200m long and six metres deep in two parallel rows, approximately 400m offshore. 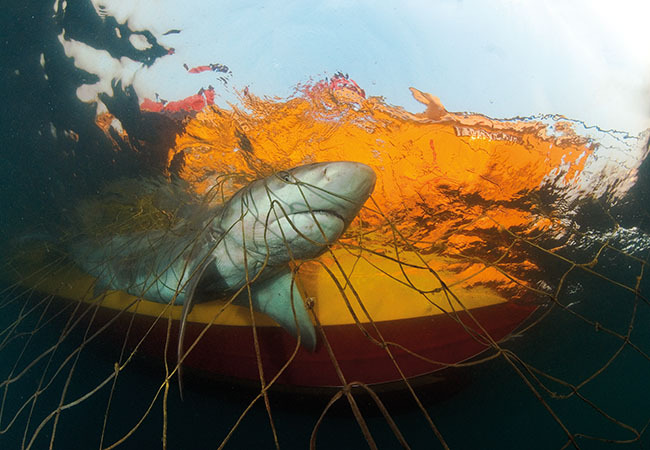 Shark nets don’t form a complete barrier, and sharks and other sea life can swim over, under or around the ends of the nets, but the idea is to reduce shark numbers in the vicinity of protected beaches, lowering the probability of encounters between sharks and people. There are 14 species of sharks that come inshore, but only three are dangerous to swimmers Zambezi (or bull) sharks, tiger sharks and great whites and so the nets are designed to only catch sharks longer than 1.5 metres. I must say, I can’t help but be a bit distracted by the view of Durban’s famed Golden Mile, with the light striking the buildings, and Moses Mabhida Stadium rising up blindingly white in the morning sun. The view up the coast past the green belt of the mangrove swamps through to Umhlanga is lovely, with the air clear and crisp. Even if you have no interest in shark nets or sea life, the view alone makes the tour worth it. We head almost in front of Blue Lagoon, having watched the Sharks Board team efficiently and tirelessly haul up and check the nets. As they drop the last one, they give us the thumbs up, and we cruise slowly back to the harbour, cameras glued to our faces. 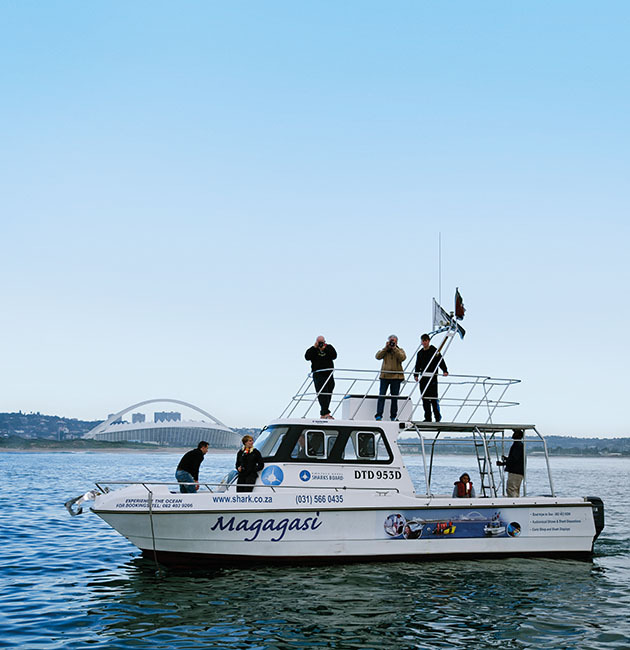 The KwaZulu-Natal Sharks Board Maritime Centre of Excellence (KZNSB) has protected the province’s bathers from shark attacks for more than 40 years, from Richards Bay in the north to Port Edward in the south, managing 23 km of nets – serviced seven days a week. It’s the only organisation of its kind in the world, and its chief mandate is to protect bathers from shark attacks. One of the unfortunate side effects (as it were) of this is that sharks and other sea life can get caught in the nets. 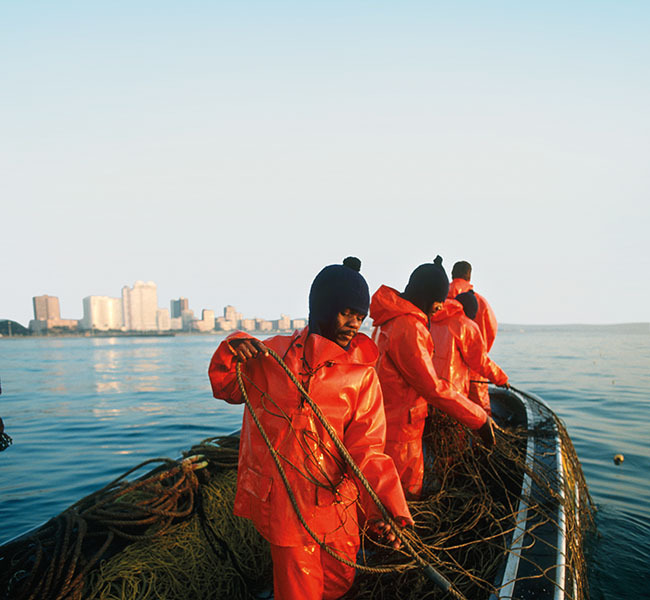 These catches have embroiled the organisation in controversy for decades, and so, much of the their efforts go into minimising the impact on the marine environment, including reducing the numbers of nets in use, keeping the nets clean and researching some other options. Drumlines (large, anchored floats from which a single baited hook is suspended) are the first of these alternatives and many are in place already, and dolphin pingers and electrical shark repellents are also being experimented with as long-term solutions. 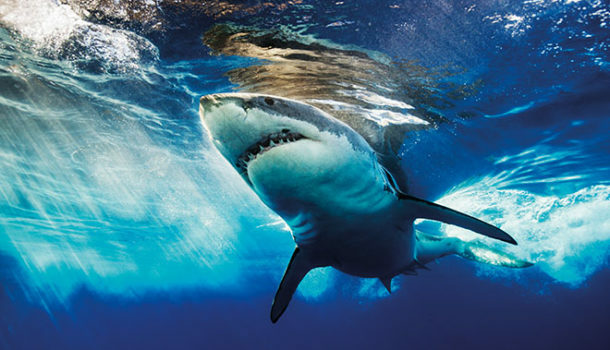 You can visit the KZN Sharks Board’s offices in Umhlanga, where there’s a museum to explore, as well as shark dissections, allowing all visitors to see the internal anatomy of these amazing marine predators. Booking is essential, and can be done by calling 082 403 9206. 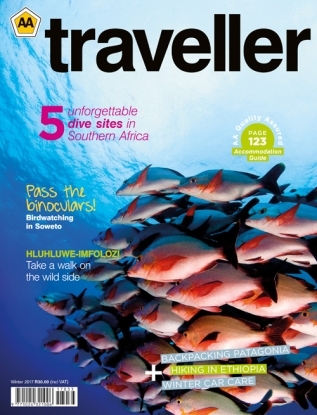 Tours leave from Wilson’s Wharf and cost R300 per person. Children under the age of six are not permitted. Take a windbreaker with you, as it can be pretty chilly, and don’t forget your camera and binoculars.